Has 36 recipes, 4 public recipes. Killacode supports All The Flavors. Upgrade yourself. This is a little different spin on the Sweet Leaf recipe by Vurve, with the addition of DFS flavors Holy Holy Grail RY4 and Holy Vanilla as well. Gives it a little more richer flavor to me and a little different profile as well but definitely reminiscent of the original :P Just paying homage to one of the great simple and amazing recipes out there! Freaking amazing tobacco! Especially for someone new to tobacco's, its a great way to get to know one of the best tobacco flavors on the market! Perfect balance of Blueberry and Custard, damn this is so fkn tasty! 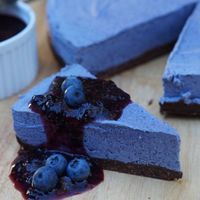 Best Blueberry recipe I have tried on here so far! This is a very good and spot on recipe! So glad i found it!